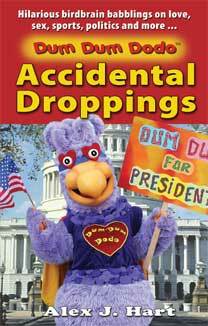 * Cure laughter procrastination by reading "Accidental Droppings." * Use Goofball Psychology to perform brain urgency on yourself. * Get a bird's eye view of life, love and politics. * Become a genuine Dodo just by taking Dum Dum's IQ test. * Be the Superhero no one thought you could ever be. 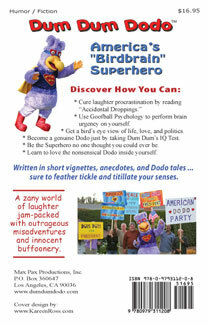 * Learn to love the nonsensical Dodo inside yourself. Written in short vignettes, anecdotes and Dodo tales . . . sure to feather tickle and titillate your senses.